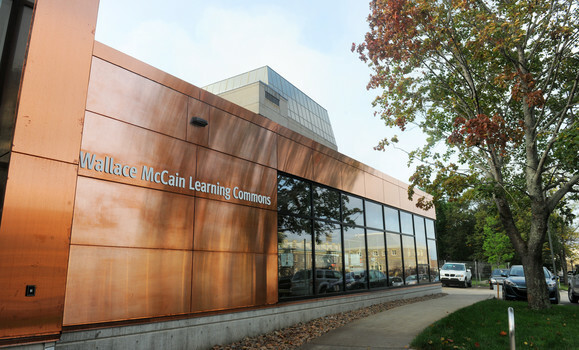 The McCain Learning Commons features over 30 computers, a printing station, a quiet study area, Help Desk, librarian services, bookable study rooms, and a small classroom bookable through the Faculty of Science office. An outdoor entrance is located at the end of Lord Dalhousie Drive on Studley Campus. An indoor entrance is located on the 2nd floor of the Life Sciences Centre, in the corridor between the LSC and the Chemistry Building.